Oh my! this cake is such a beauty..Ever since I saw this cake in Divyas blog I wanted to bake it the same time,but I didn’t have a proper Bundt tin as I wanted it, then.I ordered the silicone bundt pan online India few days back and I got it a week later after I ordered .This is the first time I baked in a silicone pan and I am so glad the result came out excellent. When I unmoulded the cake ,it came out smoothly just like a set jelly without a crack…Few years back my friend L had introduced me to her co sister’s Easy cooking blog.Ever since that I always admired her baking skills and visited her blog to the maximum.She is one of my true inspiration for my blog too.I have bookmarked many recipes from her blog which I will try out in the coming days.Thank you Divya for your wonderful Easy Baking recipes and thanks L for introducing me to her blog.The cake come out soft and tasty, but my daughter likes chocolaty cakes,so got to try some chocolate recipes with this mould soon. 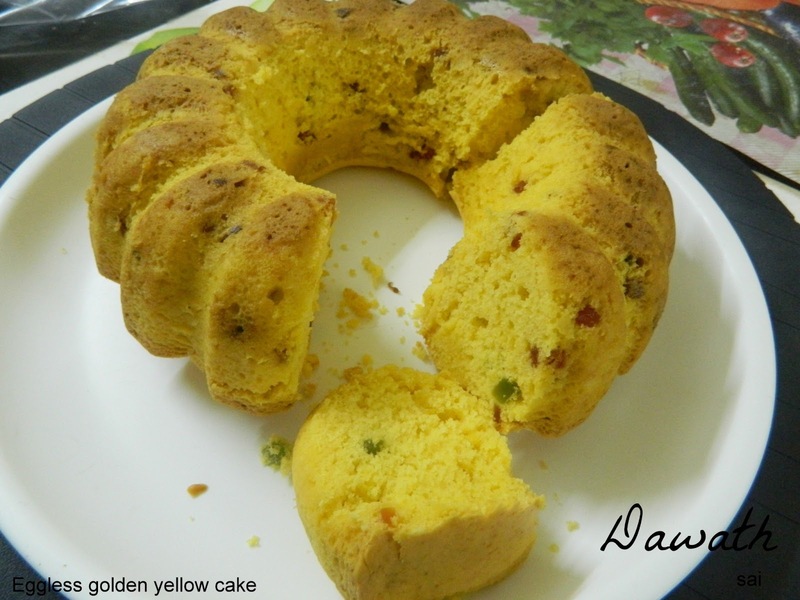 I dedicate this cake to Divya Kudua for giving us wonderful recipes and Happy 3rd month bday to my baby blog ! Preheat the oven to 160 deg C/325 deg F.
Sieve all the dry ingredients together and keep it aside. Grease and line a 7” round cake cake tin. (I used Bundt pan). In a sauce pan,heat the milk,add in the sugar and melt it completely,switch off the flame and cool to room temperature. Add in the custard powder and whisk well. Put in the butter and whisk it further. Add in the flour mixture little by little and beat it until smooth removing all the lumps. Add the essence and fold in the cherries and mix it until it gets blended well. 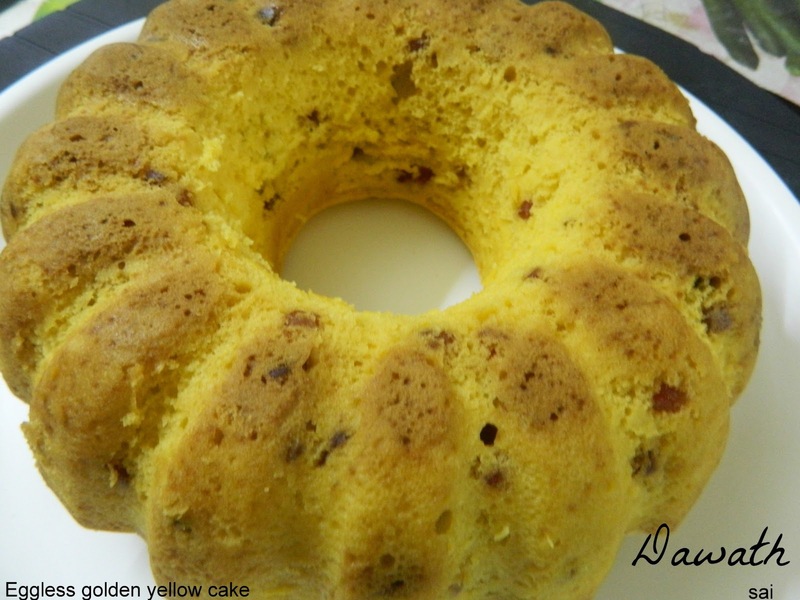 Pour in the prepared batter into the greased cake tin and bake for 30-35 minutes,insert the toothpick at the centre of the cake,if it comes out clean ,the cake is done. The recipe called for 55-60 minutes baking time,but mine baked within 35 minutes. 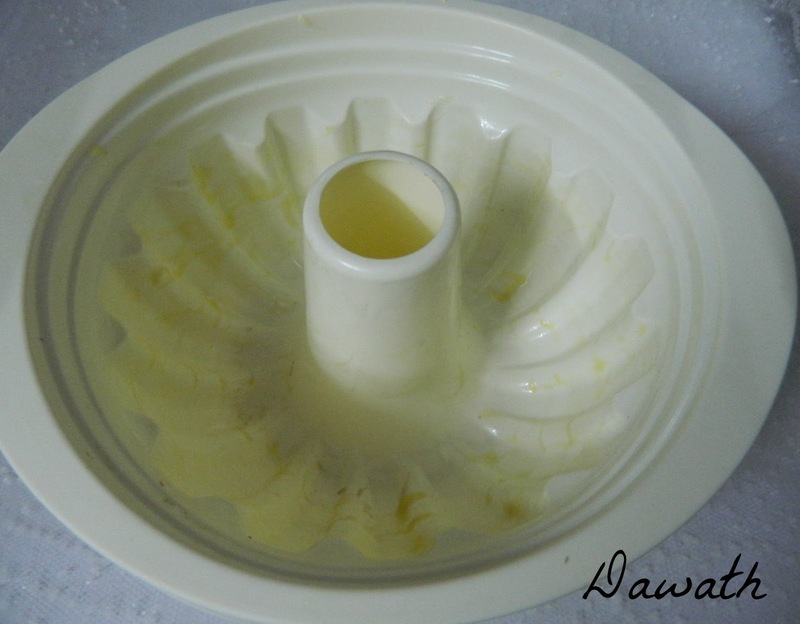 I used Ghidni Italy deep savarin cake mould ,23 cm which I had orderd online India from Urban dazzle.com. 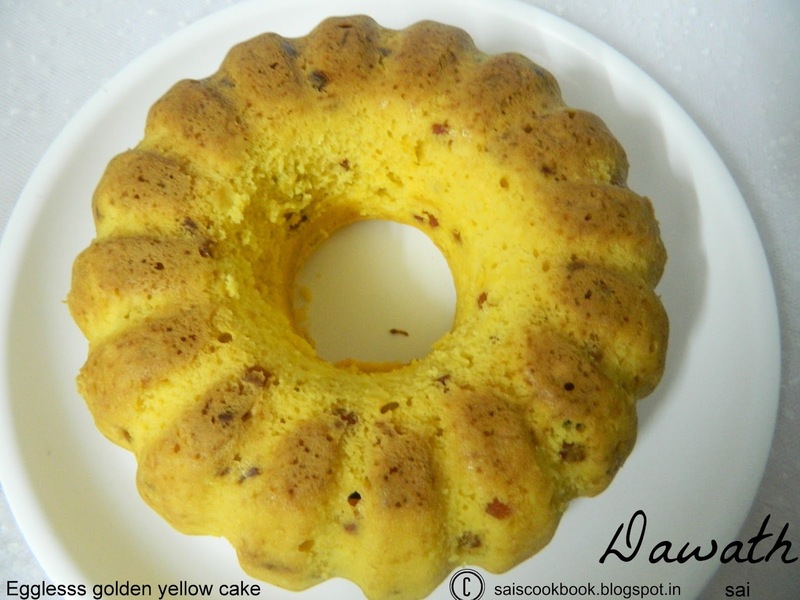 Thank you so much Saigeetha.I am so glad you enjoyed baking and eating this cake.I love my Bundt pan too and reserve it for special cakes like these.